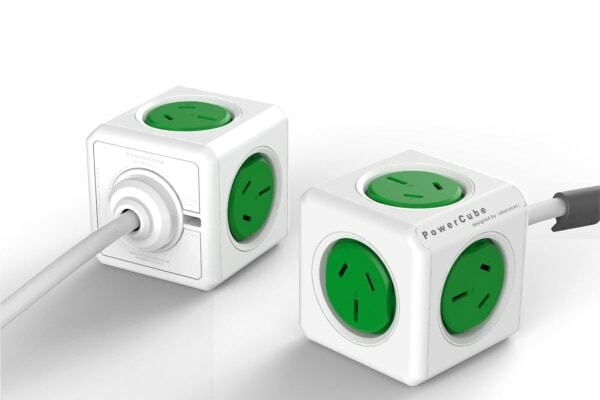 With a 1.5 metre extension cord and 5 power outlets neatly packed into a cube, the PowerCube is the ideal power solution for your home or office. Perfect for the home or in the office, the Allocacoc PowerCube with 5 Outlets is the ultimate power solution. The PowerCube can be mounted on the wall or on the underside of your desk, so you no longer have to crawl along the floor to plug in your devices. Taking up 70% less space than the traditional 4 outlet power board, the PowerCube is the perfect, compact solution for managing your power cords. Very handy excellent in a small place. Top notch power cube with surface fitting and cool looks. Proving to be very convenient to use, particularly with a number of chocolate block power units plugged in.